Dallas Kinder, age 74, of Lenoir City passed away Wednesday evening, January 2, 2019 at Parkwest Medical Center surrounded by family. Dallas was born in Phelps, Kentucky to Don Kinder and Vada Smith Kinder. He served the majority of his career as a coal miner and went on to work as a carpenter. Dallas loved to testify about Jesus, spend time with his children and grandchildren, fish, make people laugh, and was an accomplished woodworker who never met a stranger and quickly made friends with everyone. Those who had the pleasure of meeting Dallas were left with a lasting memory. In addition to his parents, he is preceded in death by his grandsons, Dallas Mackenzie Hall and Johnathan Michael Hall; sisters, Pricy Casey and Vada Marie Kinder; brothers, Don, Wayne, Willis, Linton and Daris Kinder. 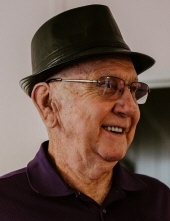 Dallas is survived by his wife of 50 years, Brenda Thacker Kinder; his daughters and sons-in-law, Dedra and Danl Hall of Dandridge, Rachel and Jed Bassett of Knoxville; grandchildren, Noah David Hall and wife Whitney, Chloe’ Allyson Elaine Dandridge Hill and husband Duncan, Landon Brennan Qianli Hall, Jack Lucas Tian Hall, William Nolan Grant Bassett and Cole Henry Aaron Bassett; sister and brother-in-law, Judy and David Griffith; brothers and sisters-in-law, Roger and Linda Kinder, Roy Kender, Randall and Ernestine Kinder, and Barbara Kender; and eight nieces and nephews. To send flowers or a remembrance gift to the family of Dallas Kinder, please visit our Tribute Store. "Email Address" would like to share the life celebration of Dallas Kinder. Click on the "link" to go to share a favorite memory or leave a condolence message for the family.